Of all the potential terrifying disasters, tsunamis are probably pretty low on your list. And for those living in the United States, that’s a justified analysis. In fact, the East Coast of the U.S. is at a very low risk of a tsunami and even the West Coast isn’t a significant threat – with the exception of Alaska and Hawaii. However, more and more Americans are living abroad to avoid having to answer to the federal bureaucracy. So if you’re living in Mexico or Central America, you’re at a much higher risk. The same is true for the west coast of South America, where many libertarians are currently living in Chile, known for its low taxes and excellent helicopter removal services. There’s also the so-called “Pacific Rim of Fire” including Indonesia, the Philippines and New Zealand (all of Australia and New Zealand are at medium risk). We also live in an age when a tsunami does not have to be an act of nature. In fact, the United States attempted to make a bomb specifically to trigger a tsunami against the Japanese. This technology is now far more advanced and indeed, democratized, so that a non-state actor could potentially make a tsunami of their own. This sounds like something out of a James Bond movie, but it’s entirely within the realm of possibility. Do you have other things that require more pressing preparation? Sure. But if you’re a serious prepper, you want to be ready for all possible disaster scenarios to ensure you can live your life with extra peace of mind. This guide will prepare you for a tsunami, so that you and your family can weather the storm. To call a tsunami a giant wave is an incomplete statement. 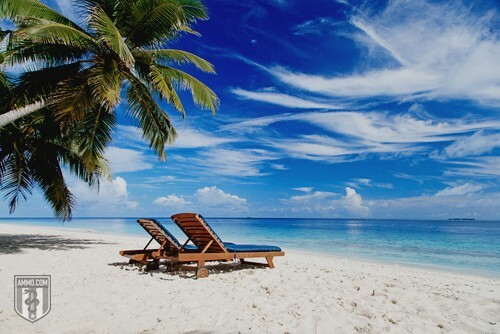 While a tsunami is, in fact, a series of large waves, that has as much in common with what you see at the beach as a hurricane has with a light afternoon breeze. The most typical cause is a giant earthquake deep within the sea. They can also be caused by volcanic eruptions that occur underneath the ocean. A tsunami’s waves are generally several feet, though in very extreme cases they could be tens of feet. What’s important is where you are in relation to sea level – the higher up the better. If you’re in low areas or even on the beach, you need to know that the tsunami could arrive within minutes. That doesn’t sound like much time, but it can be just enough for you to get out of the tsunami zone before you’re underwater. Once you get out of the zone, stay out. Like we said, tsunamis aren’t one single gigantic wave – they’re several, which means that even after the first one hits, the waves could continue (sometimes for several hours if the earthquake is big enough). Assuming that you’re not getting alerts from the Internet or the radio, there are two main things you need to know about whether or not a tsunami is coming your way. First, they’re almost always going to follow a gigantic earthquake somewhere near the coast. That earthquake is going to last 20 seconds or more to be powerful enough to create a tsunami. Second, a giant drop in the sea level means it’s time to start running. When a tsunami is about to hit, a large amount of water will pull out before it all comes back in – much like pushing water around in a bathtub. You can get alerts about tsunamis from the International Tsunami Warning System, an international system monitoring the Pacific. Any time there’s an earthquake on the Pacific with a magnitude of over 6.5, there’s going to be an alert. There’s also the National Oceanic and Atmospheric Administration’s National Weather Service, which monitors for tsunamis throughout the Pacific, including the West Coast, Alaska, Hawaii and other United States territories. Check to see if you’re even in a tsunami zone. You might have a low level of worry about a tsunami if you’re in coastal Oregon or Maine. And even if a Bond villain manages to get a nuclear device, you have virtually nothing to worry about if you’re in Missouri or Oklahoma. Within your tsunami zone, do you know how high up you are? Note that this can vary from one street to another, so try to get as exact as you can. It’s entirely possible that, in the event of a tsunami, your neighbors’ homes will be flooded out, but yours will be completely fine. Plan evacuation routes from your house, school, workplace and other areas you frequent. Look for routes that are 100 feet above sea level or two miles inland for optimum safety. Barring this, get as high up and as far inland as is possible for you and your family. Even a foot higher can make a huge difference. You should also have the ability to get to your route on foot within 15 minutes. The worse places for evacuation are those within one mile of the coast and 25 feet or less above sea level – these are the places that are most likely to be flooded in the event of a tsunami. Avoid these places at all cost when planning your evacuation route. Schools are supposed to have evacuation plans in place. Find out what yours. And if there isn’t one in place, try to get one in place or make a plan to pick up your child in the event of an emergency. Roads are often blocked during tsunami evacuations and the phone lines – mobile or conventional – are going to be clogged with calls. Practice evacuation routes, because being familiar with them could save your life. You’ll want to practice these at night and in bad weather, not just when the sun is shining and it’s nice and warm outside. 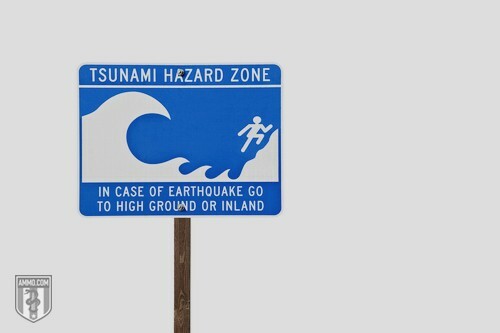 Tourists should know when they’re entering an tsunami zone and should have a plan to get out of it. This includes getting down to the ground floor if you’re staying in a high-rise hotel. If you’re staying somewhere that is in a tsunami zone, often times you can ask for the relevant information from the help desk. They will give you an evacuation map. Be sure to inform your family and go over your communication plan one last time. When traveling, it’s always a good idea to pack a flashlight and a dust mask in case of emergencies. Communicating with your family is also important. You need to know where everyone is. So plan on how you’re going to let each other know that you’re safe. Bandwidth will be at a premium, so SMS messages are better than phone calls. What’s more, if you build a flow tree for communicating who is safe, everyone will be able to let everyone know that they’re safe with just one phone call. Don’t worry about a tsunami if you’re at the beach, unless you feel an earthquake lasting longer than 20 seconds. In which case, do what you can to get to higher ground. Your first priority is to protect yourself from the earthquake, which means that you need to drop, cover and hold. Once that stops, it’s time to get everyone to higher ground. You only have a few minutes to do this, so don’t waste any time gathering your belongings. Even a few seconds can make a huge difference when it comes to avoiding the tsunami to come. There are two things to avoid when evacuating: First, downed power lines – just because they’re down, doesn’t mean they’re disabled. Plus, if there’s water coming, you might be standing in a pool of electrocution. Second, big buildings – debris could start falling off of or out of them due to the earthquake. Again, this underscores the need to have a solid evacuation route planned for anywhere you travel. While you likely can’t do this everywhere, you can do it for the places you find yourself most often as well as vacation spots. It only takes a few minutes and a bit of practice, but the survival of you and your family could very well depend on it. A tsunami watch is when the government agency in charge of tsunami awareness wants people to know that there’s the possibility of a tsunami. This differs from a tsunami warning, which is issued when a tsunami is inbound. During a tsunami watch, go about life as normal, albeit with an elevated level of preparedness and a special attention to breaking news. Make sure everyone knows the evacuation plan, but otherwise, just go about your day. A tsunami warning, as stated above, is far more serious. It means that there is a tsunami coming and that you might be in its path. If true, you have a certain amount of time to get out of its way, so without delay, get all the members of your family together and evacuate as soon as possible. If you have an emergency supply kit, be sure to take it with you. And don’t forget your pets – any situation that’s not safe for you is also not safe for them. Don’t watch a tsunami. There will be plenty of videos on YouTube to check out later. Once you can see the wave, you’re too close to escape it. Get out as fast as you can, without stopping to gather your things. What’s important is you and your family getting to safety as quickly as possible. Once the tsunami is over, it’s still important to behave as if you are in an emergency situation. Stay tuned in to the radio for developments, remembering that tsunamis generally come in groups. Where there has been one tsunami, there will be more. Know that it’s safe only by checking in with the emergency radio broadcasts and other official reports. Tsunamis can continue for hours at a time, with subsequent waves easily being much larger than the first. Only after ensuring that you’re not injured should you go about helping other people who are trapped under debris from the tsunami. If you do find people in need of rescue, do not attempt the rescue yourself. Instead, contact emergency rescue crews, who have highly specialized equipment and training. Stay out of any flooded buildings, as the water damage can cause floors to crack, leading to unstable structures. And if you have to clean up, wear protective clothing and stay away from debris in the water, as it could be glass or other hazardous material. Of all your concerns, tsunamis likely rank somewhere toward the bottom for most Americans living in the Continental United States. Fortunately, there’s a great deal of overlap between tsunami preparation and preparation for any type of disaster. Having supplies on hand, a communication plan in place, and knowing how you will evacuate will keep you prepared for almost any disaster strike.